Police are investigating an incident in Langley Mill overnight after eye-witness accounts of a street brawl and a suspected stabbing. Police investigating an assault where a man was allegedly stabbed have arrested two youths and a woman in connection with the incident. At 12.45am, on Saturday, April 22, officers were called to Station Road, in Langley Mill, near to a McDonald’s restaurant, after reports that a man had been stabbed. Officers attended and a 37-year-old man was taken to the Queens Medical Centre hospital with non-life threatening injuries. A 16-year-old boy was arrested on suspicion of wounding with intent to cause harm. 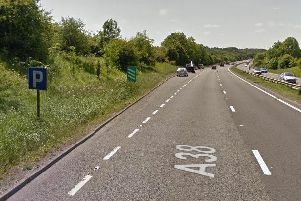 A 33-year-old woman was later arrested on suspicion of wounding with intent to cause harm and a 17-year-old boy was arrested on suspicion of assault and wounding with intent. Police cordoned off and searched the area concerned for any vital evidence during Saturday. Anyone that may have witnessed the alleged assault or who has further information is asked to contact Derbyshire Constabulary on 101 quoting incident number 26 of April 22.